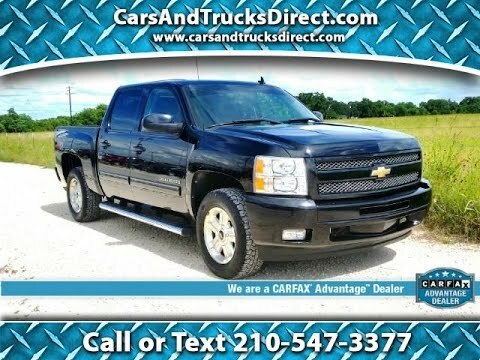 If you need to tailor your pickup truck to your exact requirements, the 2010 Chevrolet Silverado enables you to do just that with a wide variety of configurations, bed lengths and trim levels. The Silverado's V8 engine lineup offers Active Fuel Management technology, Flex-Fuel E85 capability and even a hybrid model. Best vehicle I have ever owned, not any major issues. Very dependable. My Chevy Silverado has been the most reliable vehicle I have ever owned. Besides regular maintenance and some minor normal issues my truck hasn't broke down. It's definitely not a money pit like a lot of truck. It does ok on gas mileage and ride very quite not much road noise. About the only thing that could be better is the air conditioning is not super cold like a lot of vehicles. The truck has 98, 0000 miles and has only had one brake change and one new set of tires. Everyone loves the look of the truck and cant believe its 8 years old. I would definitely recommend the Silverado to anyone. It tow stuff around without any engine drag and comes with tow package. To sum it up my Silverado is the best vehicle I have ever owned. Best thing about it is its rugged capabilities and works for pulling a camper. Its four wheel drive so it has safely got me to and from work in the snow. It is good on any surface road as long as caution is used. Very easy to drive. Problems with it, been in the shop a lot for check engine light on. After about 6 times in shop, problem was finally fixed. It is not very roomy for a long trip and its has average gas consumption. Seats are somewhat comfortable, driver side is powered so can be adjusted up, down. Forward, back. Does not support lower lumbar of back so use pillow for support. Features include XM radio, CD, running boards, tow package, 4 wheel which makes this vehicle very appealing to me and fits with my everyday life. Room for 3 children's' car seats! We bought this truck used with 147, 000 miles in 2015. It has been a very dependable vehicle. The gas mileage has been to be expected (15-17 mpg). The cruise control stopped working soon after we bought it and we have been unable to determine the cause. Other than that, there have been no issues with the electronics. We have replaced the ball joints twice, but that may be a result of the rough terrain we sometimes drive on. It is a comfortable vehicle for my tall husband to drive. It also fits three car seats in the back seat pretty easily, with plenty of legroom for my three kids.